The mysteries surrounding Alzheimer’s disease have confounded conventional medicine since its discovery more than a century ago. Finally, the causes and natural solutions for this mysterious condition are exposed in this groundbreaking book. Beginning with a full description of the signs and symptoms of early- and late-stage Alzheimer’s, the author clarifies the documented risk factors related to the condition. Unraveling the science from more than a thousand research studies, the author then defines the mechanisms of the disorder, and reveals dozens of scientifically confirmed natural strategies, including diet factors, nutrients, superfoods, herbal medicines and lifestyle changes proven to help us avoid or combat this devastating form of dementia. Finally, “Holistic Remedies for Alzheimer’s” deciphers the depths of consciousness to broaden our perspective of this dreaded condition, offering the means for hope and understanding. The majority of adults in developed countries suffer from low back pain. Meanwhile, conventional medicine’s focus has been upon relieving pain instead of removing the causes. In this course we find a clarification of the causes for most low back pain along with more than a hundred different strategies and exercises – to enable the body to counteract and remove these causes, to produce a healthier, pain-free back. This video course, narrated by leading alternative health author and California Naturopath Case Adams, and illustrated in full and slow motion by Certified Fitness Trainer and Educator Virginia Callow, offers breakthroughs in understanding and preventing one of the most debilitating conditions known to modern society. Recorded webinar in six modules. The Microbes and Probiotics Webinar will take you from the basics of the different sorts of microbes, to the many diseases microbes cause, and the solutions that probiotics present. This interactive, yet recorded webinar lecture series, together with user question-and-answer forum and free reading material is designed to create expertise in the aspects of microorganisms, the diseases they cause and the potential of utilizing probiotics as treatments as documented from clinical research. Gluten sensitivities such as celiac disease, wheat allergy and gluten intolerance are reaching epidemic proportions. Right? Not so fast. In The Gluten Cure, the author clarifies the science, incidence, diagnosis and causes of gluten sensitivities with objectivity and clarity. These uncover the facts on gluten- and wheat-related conditions with some surprising findings. The author also reveals clinically-verified protocols that can resolve gluten sensitivities using natural and safe strategies. Utilizing over a thousand research studies, this book puts all the pieces together to clear the fog on gluten and pave the path back to intestinal health and digestive vitality. Copyright 2014. 480 Pages. Our body’s immune system has not been that well understood to date. While immunity has been the focus of medical study from a disease perspective, many of its functional characteristics have eluded scientists. This is evidenced by the fact that many infections are becoming resistant to many drugs – and numerous bacteria and viruses are now multi-drug resistant. Here, in a groundbreaking compendium of the latest immunity research, the author reveals our immune system in a way that has vast implications for global and personal wellness. The vibrant, dynamic nature of our immune system is documented in detail, showing the interplay between immune cells, cytokines, immunoglobulins, probiotics and the many other immune system components that help us fight off colds, flu, infections, chronic fatigue and other diseases. The author – a California Naturopath and board certified Alternative Medical Practitioner – then unveils a host of natural strategies, including probiotics, diet, herbs and lifestyle factors, while referencing hundreds of clinical studies proving their ability to supercharge our immune system and help our bodies fight disease. 414 Pages. Copyright 2014. The Ancestors Diet settles the debate regarding the foods the earliest humans ate and what our bodies were designed to eat with scientific rigor and practical wisdom, drawing from evidence from over two thousand studies and research papers. The evidence illustrates the diet humans were genetically and metabolically designed to eat also happens to be the healthiest, most delicious and colorful diet, along with being one of the least restrictive diets. The Ancestors Diet also happens to be the easiest way to lose weight and keep the weight off. Included in the book are the surprising answers to gluten sensitivity, dairy and other controversial food topics. And the Ancestors Diet is the diet scientifically proven to extend life and reduce the incidence of numerous conditions including heart disease, diabetes, arthritis, asthma, dementia, digestive disorders, liver diseases and strokes, only to list a few. What else would we expect from the diet our bodies were biologically designed to eat? Copyright 2015, 465 pages. For many years, the digestive disorder called “leaky gut syndrome” has been described. Yet leaky gut was dismissed by conventional medicine as anecdotal and those who proposed it were labeled heretics. Is leaky gut real? Is there any hard scientific evidence? And if it is real, can it be diagnosed? And will reversing it offer any help to the millions who suffer from digestive ailments and inflammatory disorders? Going beyond the nebulous descriptions of the condition, leaky gut is finally clarified scientifically: What causes it, how it can be diagnosed, and the many disorders it has been linked to. This text will help physicians and their patients clearly understand the true disorder called leaky gut, and gain the tools to diagnose and even reverse it. Copyright 2014, 268 pages. Getting to sleep is not always as simple as it sounds. Getting good quality sleep can be even harder. Here the emerging science of sleep and dreaming is unveiled in clear terms, revealing surprising information about how much sleep we need, what kind of sleep we need, and how we can calculate our sleep needs. We discover our biological clocks: how they are set and reset, and how they affect our hormones, neurotransmitters and sleep cycles. The latest dream research is also explored, revealing the mysterious realm of REM-stage dreaming and lucid dreaming. Learning to remember, steer, and take control of our dreams and sleep cycles is accomplished with a refreshing science-based understanding of dreamscapes and nightmares. In “Natural Sleep” we also find a complete scientific resource for hundreds of ancient and modern natural cures for sleeplessness – helping us achieve good quality sleep and productive, positive dreams. Copyright 2010. 262 pages. Drawing from over a thousand peer-reviewed studies including hundreds of clinical studies, “Natural Solutions for Food Allergies and Food Intolerances” provides clear and proven strategies to reverse food sensitivities using inexpensive and natural methods. While there are many texts that provide clarity on how to safely avoid foods we might be sensitive to, this text cites the definitive research and practical evidence that shows health providers and their patients the means to reverse existing food sensitivities, and how to prevent them in the future. Copyright 2014. 435 Pages. For thousands of years, the sun was revered for giving life and maintaining health. It was widely used for its therapeutic value for a variety of diseases. Today, the sun is considered enemy number one. We hide from the sun for fear of skin cancer and premature aging. We cover our bodies with sun-screen to protect us from the sun’s rays. Can the sun really be this bad for us? Healthy Sun takes us through the real facts about the sun, using peer-reviewed research and the latest science. In Healthy Sun, we find the history of ancient sun therapies combined with the science of solar radiation and solar storms. Here we also find the latest medical research on skin cancer, and the newest information on maintaining sufficient vitamin D. Healthy Sun goes deeper, revealing some of the sun’s more mysterious effects, including biomagnetism, light, color and rhythmicity. The groundbreaking information contained in Healthy Sun will radically change the way we think and feel about the sun. It would be nice to breathe optimally without thinking about it. Unfortunately, most of us have developed numerous bad breathing habits, which serve to deliver sub-optimal health. “Breathing To Heal” teaches us how to breathe optimally and efficiently. It also teaches us the physiology of breathing, various techniques for clearing our sinuses and airways, herbs that increase lung health, how to breathe around polluted environments, and how to breathe with different postures, positions and frames of mind. Techniques of pranayama, tai chi, hatha yoga and qigong are also discussed, along with breath control and the Buteyko technique. Allergens and filtration systems are also reviewed. This is a complete and practical book on becoming a better breather every day. Copyright 2012. 364 Pages. Millions of people suffer from asthma, and asthma rates have been going up dramatically in the last few decades, primarily among industrialized nations. What is causing this almost epidemic surge of asthma? Is it as simple as air pollution and allergy triggers? More importantly, can asthma be reversed, and if so, how? Using over a thousand scientific references and clinical reports, “Asthma Solved Naturally” provides the surprising answers to these questions. Rejecting the ‘dumbing down’ of this condition as often portrayed, the author – a California Naturopath – comprehensively demonstrates the underlying causes of asthma while providing hundreds of clinically and scientifically verified inexpensive natural strategies – some thousands of years old – used successfully to eliminate asthma. Copyright 2011, 2014. 446 Pages. The causes for the devastating condition of arthritis have become one of modern medicine’s greatest mysteries. Furthermore, a potential cure for arthritis has become just as elusive. As a result, modern medicine has focused on treating the symptoms rather than the disease. Here Dr. Adams uses a combination of modern research and traditional medicine to expose the evidence that unveils the root causes and solutions to both the symptoms and the diseases classified as arthritis. Copyright 2012, 2016. 256 Pages. Every mouth is full of bacteria, yeasts, fungi and viruses. Can we stop these infectious microorganisms from making us sick? Today, with millions dawning face masks, washing with antibacterial soaps, and sanitizing classrooms, hospitals and other public places, we need new solutions. Peer-reviewed research from some of the world’s foremost microbiologists is now demonstrating that the probiotic bacteria in our mouth can be used to reduce or prevent infections from invading the body’s internal tissues. Our oral probiotics can be our first line of defense against some of the most dangerous diseases, including those caused by aggressive bacteria, flu viruses and yeasts. 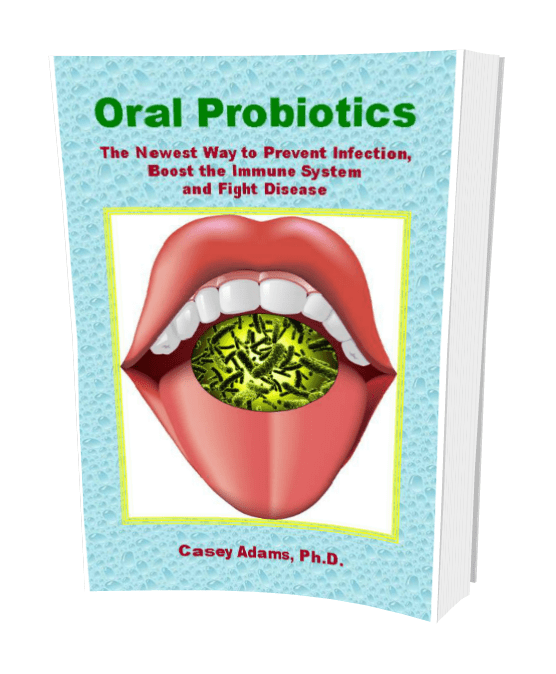 In this groundbreaking book, the author details the newest research revealing the cooperative roles friendly oral bacteria play within our immune system to fight infection and prevent disease. Guidance on supplementation and on how to encourage the growth of our resident oral probiotic colonies is also described. A must read for anyone wanting to strengthen the immune system and stay healthy. Copyright 2012, 2014. Pythagoras, Plato and Ptolemy introduced the concepts of harmonics to the western world some 2000 years ago. Here Dr. Adams, a naturalist, herbalist, and health educator, combines the latest research into the natural world with centuries of scientific exploration and ancient wisdom to illuminate and validate these concepts. This insightful journey into the mysteries and rhythms of nature unveils an undeniable link to our own health and well-being. The science of nature’s elements-advanced by ancient traditions around the world for thousands of years-reveals various strategies for building immunity, reducing toxicity and increasing vitality. 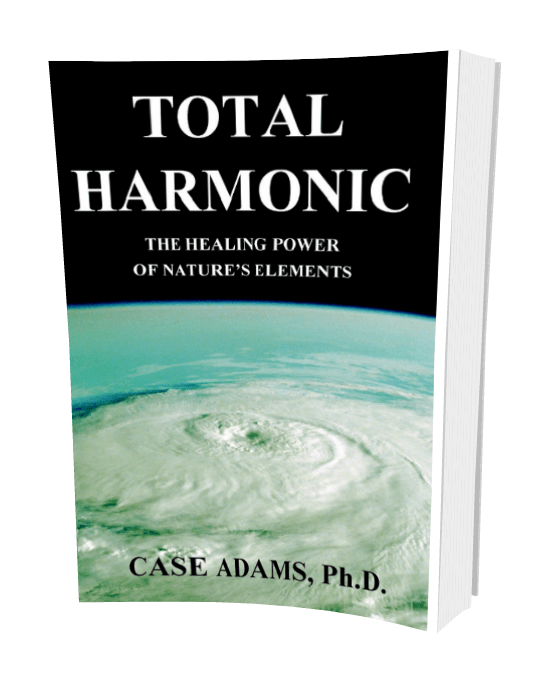 Total Harmonic provides an unforgettably profound and unprecedented vision of health and well-being for both our planet and ourselves. Copyright 2007, 2012. 446 Pages. The link between the human anatomy and consciousness continues to mystify modern medical science. The Conscious Anatomy reveals the scientific evidence that illuminates the connection between consciousness and the body’s metabolic processes. This evidence substantiates many key doctrines brought to us from the ancient traditional medicines, enabling a science-based clarification of ‘mind-body-spirit.’ The Conscious Anatomy reveals the hidden elements of intention and consciousness buried beneath our physiology, while presenting a logical approach to the ethical dilemmas facing modern medicine today — as patients, physicians and medical institutions wrestle with critical care, pain and death. The Conscious Anatomy takes the reader on a profound journey through the subtle energetics of the body, uncovering the inner spirit with clarity and scientific rigor — along with practical strategies for real healing. 442 pages, Copyright 2016. Heartburn leading to acid reflux disease, or gastroesophageal reflux disease (GERD) seems pretty simple, right? Just an issue of too much stomach acid, right? Not so fast. The mass media, internet and conventional medicine have largely mischaracterized this condition – affecting millions and growing each year – for decades. 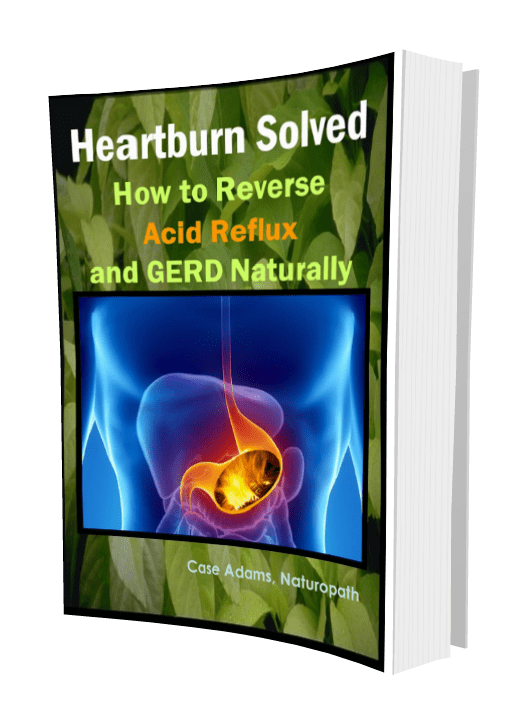 “Heartburn Solved” identifies the real causes for this condition and lays out simple and low-cost natural solutions that physicians and their patients can readily employ. “Heartburn Solved” is not an anecdotal essay of opinionated conjecture. The author’s groundbreaking scientific findings are supported by nearly a thousand clinical studies and hundreds of references from traditional medicines around the world, forming the most comprehensive alternative health treatise on GERD available today. Copyright 2012. 332 Pages. Developing your life plan – also referred to as personal strategic planning – is a necessary component for personal, financial and spiritual success. Yet completing such a plan can also be a daunting and challenging task. The author introduces his fool-proof system for personal inventory, self-discovery and visualization, leading to the creation of your unique plan including mission and vision statements along with successive goalpost timelines. Your Plan for Life also includes an assessment system and later-stage planning to bring together the technology and knowledge for taking the wheel of your life. Book includes forms and planning tools.